2018 was a great year for Anomaly creating lots of new content with some brilliant charities and companies. Bullying is a subject which Anomaly takes very seriously. According to a BBC report, children who are bullied can still experience negative effects on their physical and mental health more than 40 years later. That’s why we are incredibly proud to be working with BullyingUK to create some fantastic content. 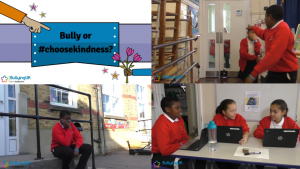 In October 2018, with the help of BullyingUK and the wonderful ideas from Year 6 at Childs Hill School in London, we created together a series of videos about bullying and choosing kindness. Each video showed a situation where someone was experiencing bullying and showed the viewer what would happen if you joined in the bullying, or chose kindness instead. 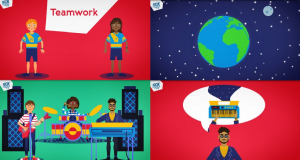 These fantastic videos are now a staple in our Anomaly Content Library. Mental health problems affect around 1 in 10 children today. At the start of 2018, we teamed up with Rocksteady Music School to help tackle this statistic. Together, we’ve produced videos that cover all aspects of mental health and problems pupils could suffer in silence with. These videos reassure pupils they are not alone and to talk to someone they trust if they are feeling anything negative. 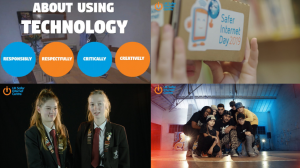 2018 was the third year we’ve worked with Safer Internet Day and showcased their videos on our Anomaly screens. We show a brand new set of age-appropriate videos produced by Safer Internet Day every February. They are also available in your Anomaly Content Manager library all year. We look forward to producing more content this year with these brilliant organisations and expanding our list of partners! If you would like to work with Anomaly or find out more about our vast range of services in the education sector please do not hesitate to call us on 0844 579 0880 or alternatively you can email us on the usual address info@anomalygroup.co.uk. Anomaly Content Manager - What's on this May?